Education has potential to transform the future of the nation! PSO's partnership with @ibakarachi has ensured provision of higher education for deserving bright students without worrying about their financial circumstances. Almost 11% of the country's population suffers from blindness or related visual diseases. #PSO supports leading #healthcare organizations, like the #LRBT, to help fight blindness in #Pakistan so that needy patients may live fulfilling lives. Mental illness is real and so is recovery. #PSO is striving to turn around the lives of ordinary people by making them a productive organ of the society. PSO therefore supports Karwan-e-Hayat in their mission that no patient walking into Karwan-e-Hayat is denied medical treatment. More than 60,000 children are born in #Pakistan every year with Congenital Heart Disease (CHD). Thanks to #PSO's partnership with The Aga Khan University Hospital, child patients with CHD receive quality free of cost treatment to live a #healthylife. PSO is helping deserving children and their families to be able to dream of a prosperous tomorrow. Child mortality rate in #Pakistan remains at an alarming level. #PSO believes that children are our future and saving their lives means saving our country’s future. PSO’s partnership with the #ChildLifeFoundation has ensured that children at imminent risk have access to quality and affordable #Healthcare facilities. The funding from #PSO has enabled #TheCitizensFoundation to build five school campuses, some of them are in remote areas of #Pakistan. Watch staff of #TCF PSO Campus in Wasi Malook Shah narrating their story that how PSO support has changed life in their village due to access to #education, particularly for girl students. Realizing the hardship faced by patients with humble backgrounds, #PSO regularly supports organizations like the #IndusHospital. Watch the story of Anis, Jalal and Satish who got timely healthcare support by the Indus Hospital, thanks to financial assistance provided by PSO. #PSO feels proud to partner with the Shahid Afridi Foundation. Watch heartwarming visuals from students and staff of SAF School Malikpur Campus, Powered by PSO, while our national hero Shahid Afridi, shares the joint commitment with PSO to address issues in Pakistan's #education sector. Cancer is known to be the 2nd leading cause of death after heart diseases. #PSO regularly supports charitable cancer hospitals to help needy patients. Through its donation, PSO CSR Trust is helping Cancer Care Hospital and Research Center to deal with the deadly disease by constructing a free-of-cost state of the art cancer care facility in the country. 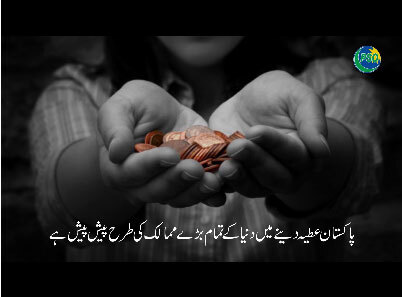 #PSO believes in lending a helping hand. In doing so, PSO has supported the #BehbudAssociation Secondary School to provide quality #education to the underprivileged. This initiative will help children to realize their potential and dream of a better future. #PSO believes in transforming lives of youth to make them productive members of society. Our partnership with the #AmanFoundation is enhancing technical and soft skills of many by aligning them to needs of the local and international labor market. Access to quality medical care is a fundamental right of every citizen of the country. #PSO regularly supports charitable hospitals, like #GhurkiHospital, to bring quality medical facilities in the range of needy and deserving masses of #Pakistan. Education has the potential to transform the future. PSO has facilitated basic #education facilities in Thar region. Watch members of the PHC narrating the efforts to bring children of Thar at par with rest of the country.